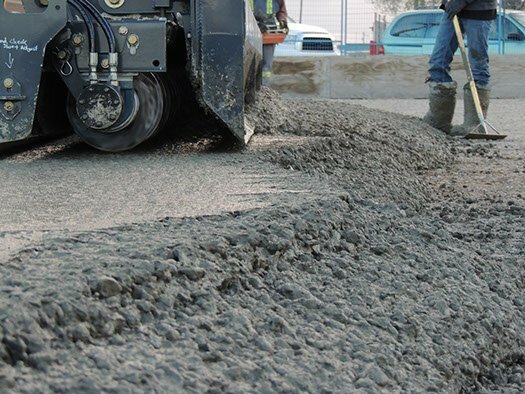 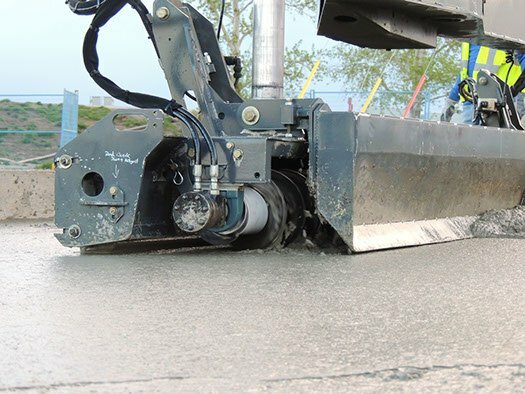 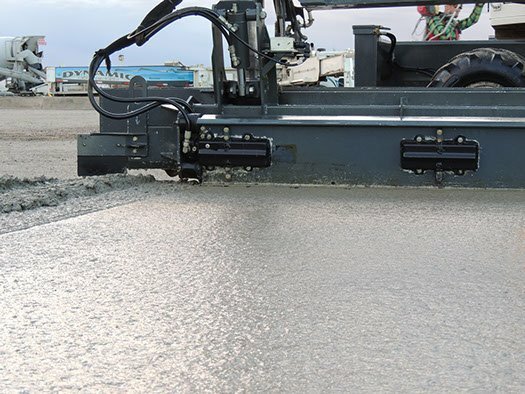 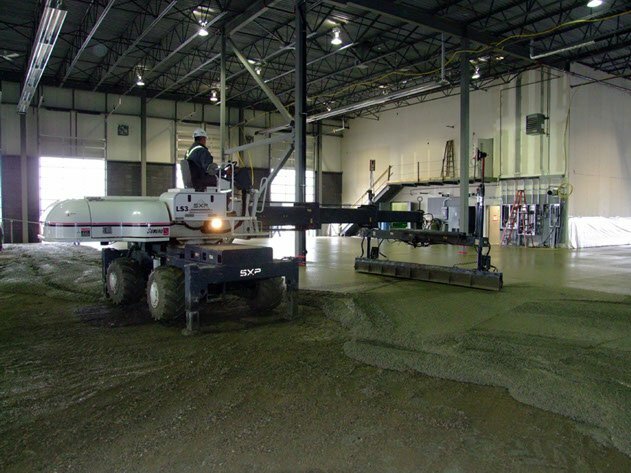 Commercial construction contractors across Western Canada and the surrounding regions rely on Dynamic Concrete Plumping, Inc. as their concrete laser screed contractors of choice. 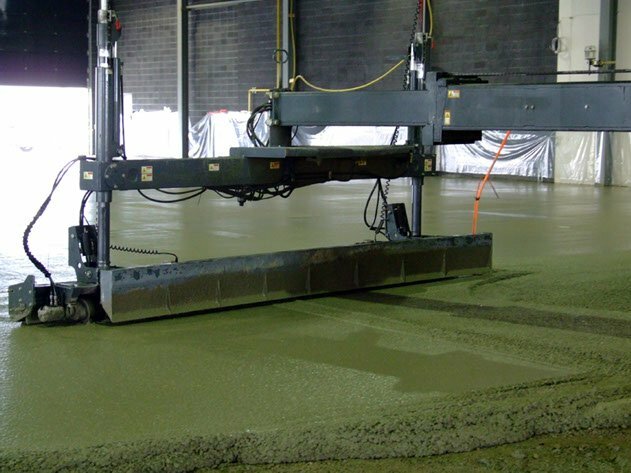 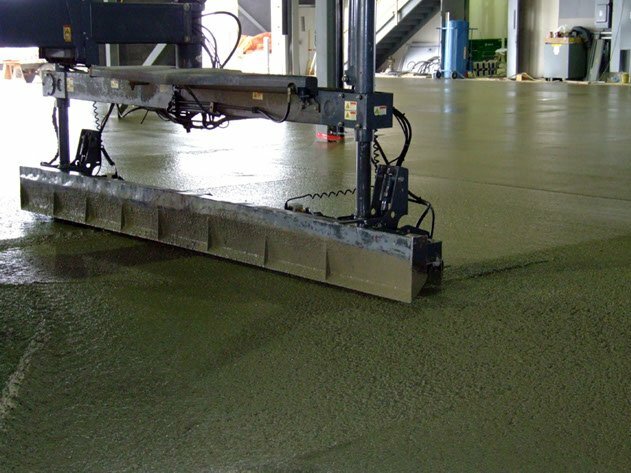 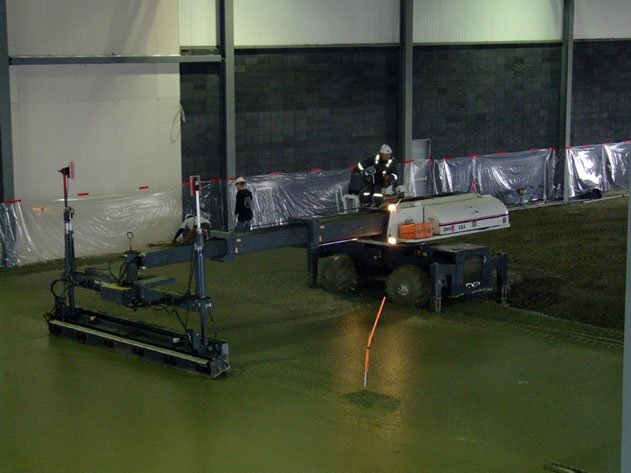 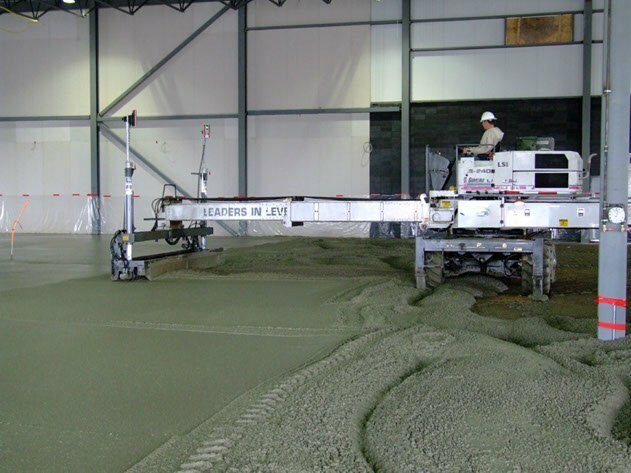 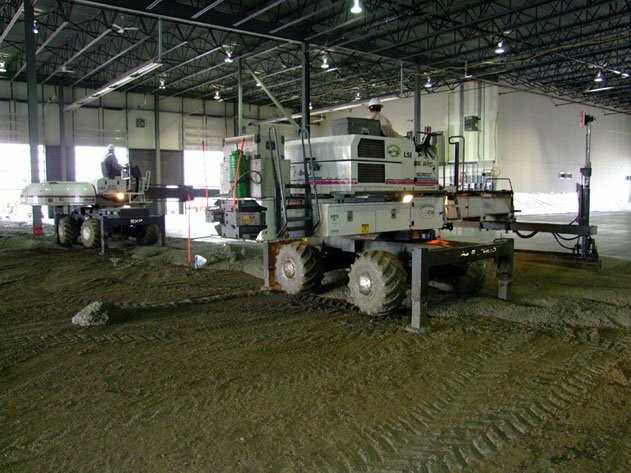 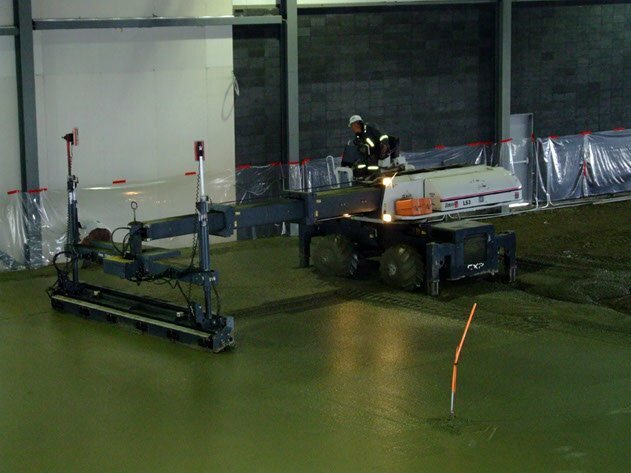 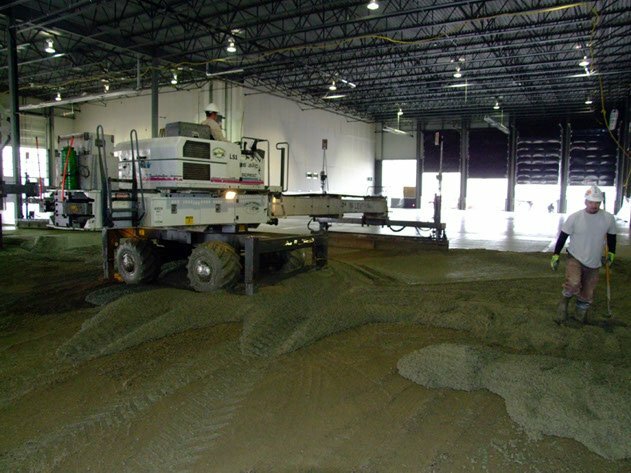 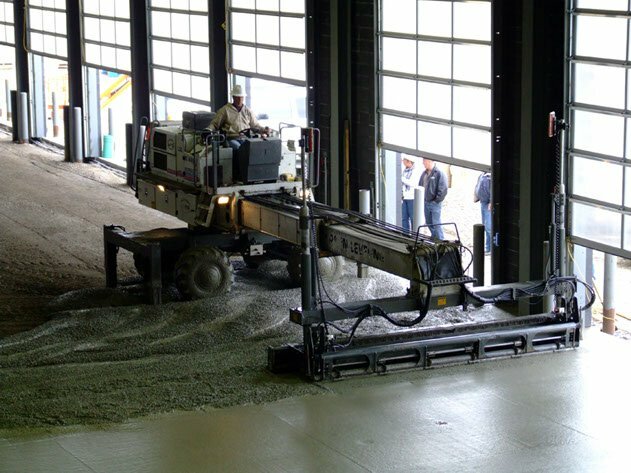 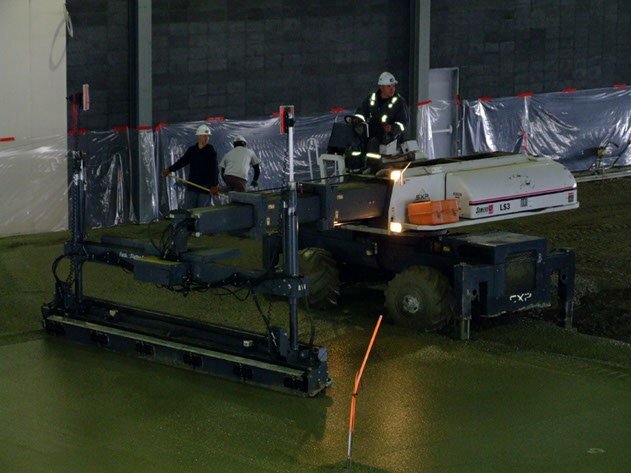 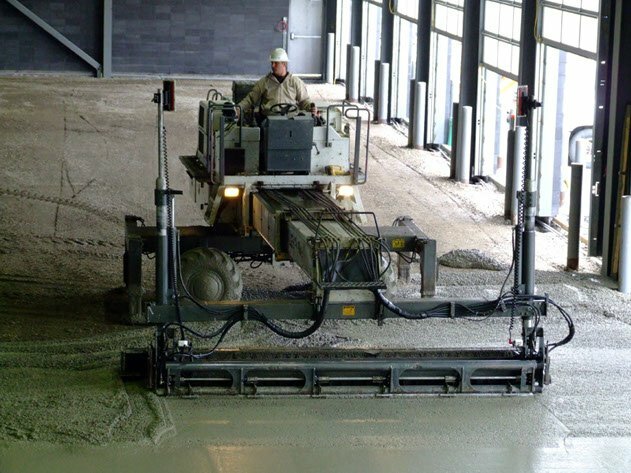 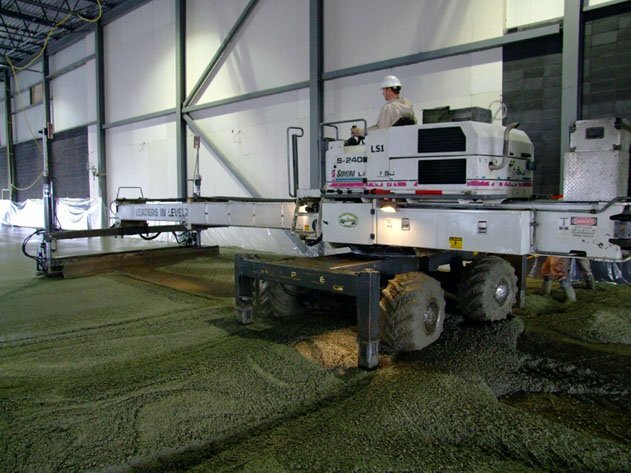 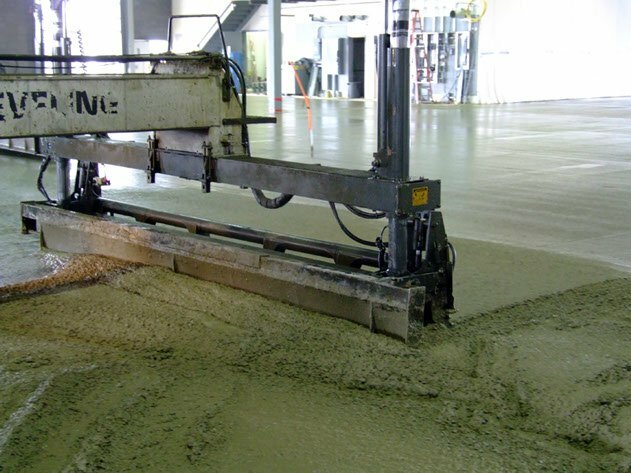 Located in Calgary, we have the expertise and cutting-edge equipment to ensure flatter, stronger and more precise slab on graded concrete flooring. 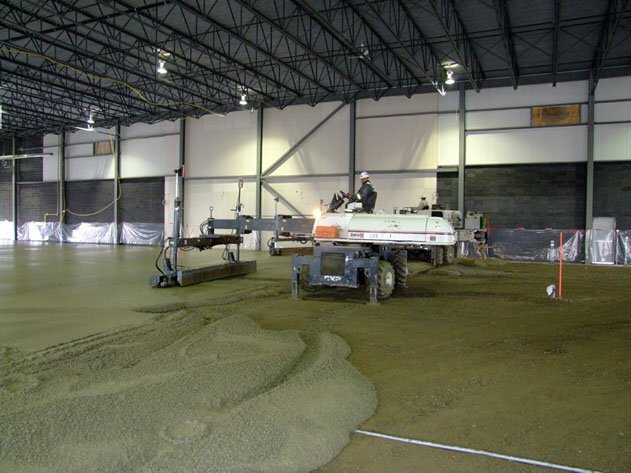 Whether you need laser screed contractors in Edmonton or professional laser screed services in another Alberta location, we are the reliable source for everything you require. 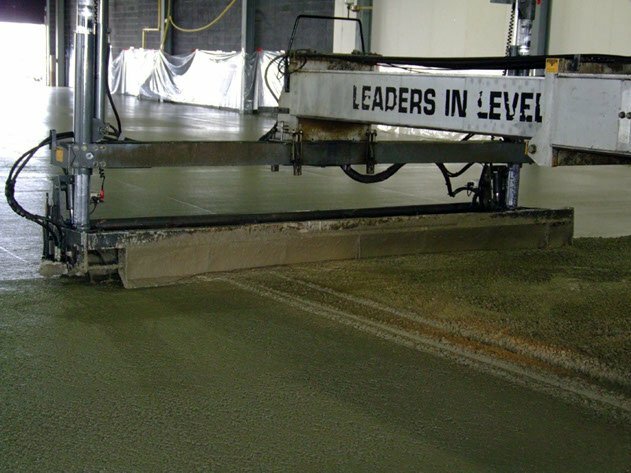 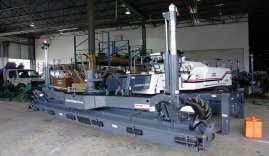 An onboard electronic system helps guide the height and flow of the laser screed unit for optimal results. 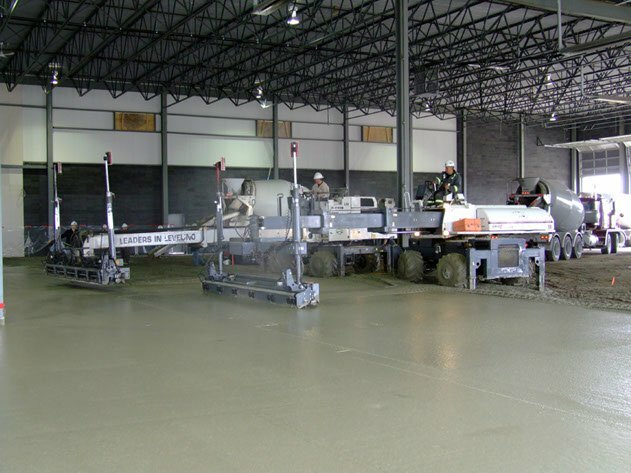 Dynamic Concrete is dedicated to remaining on the cutting-edge of the concrete pouring and placing industry. 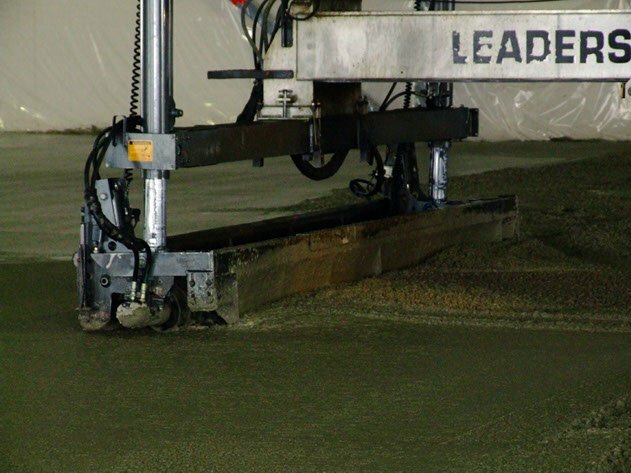 We are always looking to update our fleet with new laser screed models engineered with the latest innovations. 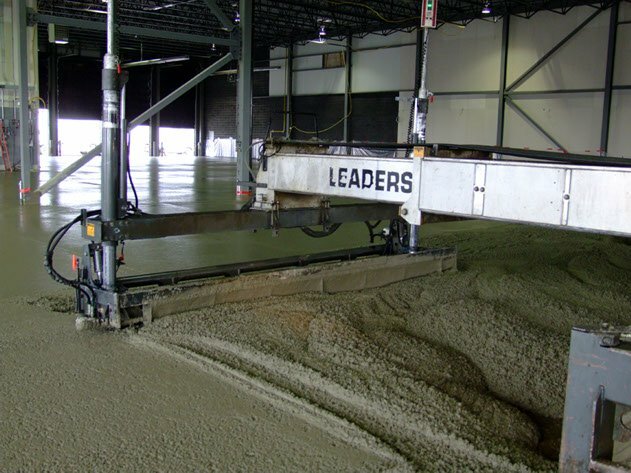 Whether it’s a ride-on screed, lightweight screed, boomed or material placement unit, you benefit from maximum performance and efficiency. 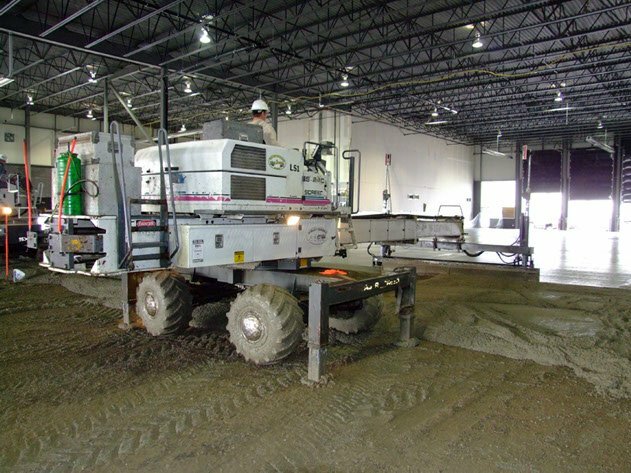 Full-time electrical system diagnostics – alerts the operator instantly should the laser screed encounter an electrical fault within wires, switches, connectors, etc., and suggests a fault location. 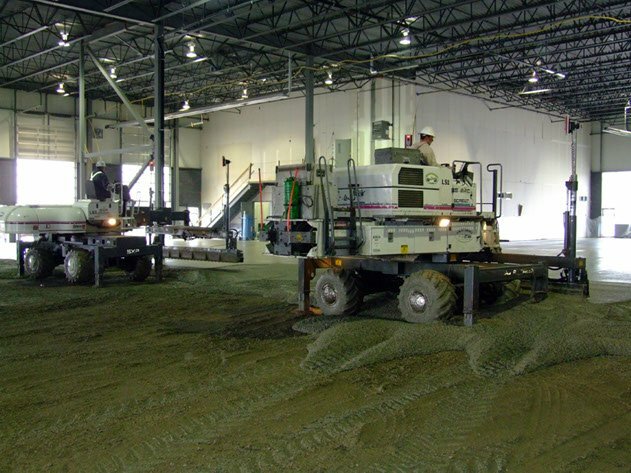 Full-time hydraulic system diagnostics – provides hydraulic system information to the operator regarding system and manifold pressures, supply and return filter conditions, and hydraulic oil level and temperature. 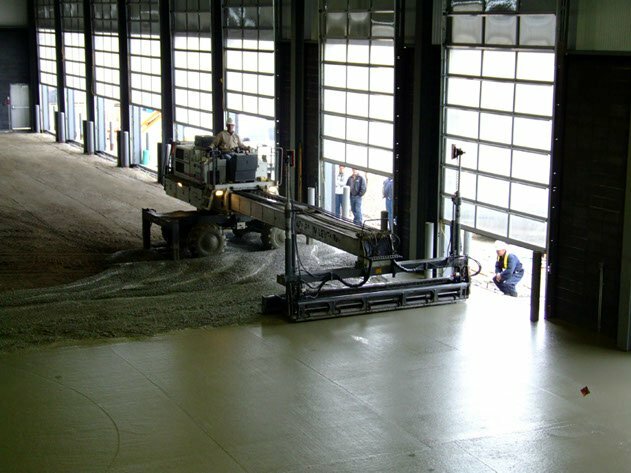 Full-time engine performance diagnostics – alerts the operator instantly should a fault or engine concern occur within the laser screed. 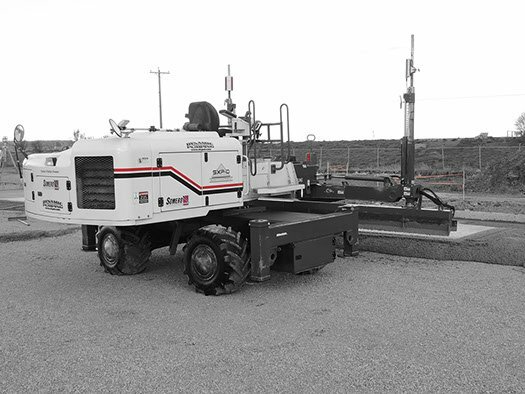 Provides engine operating parameters to the operator. 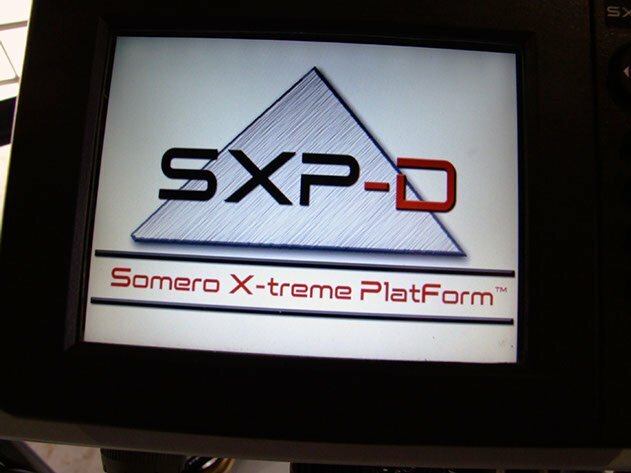 Joystick steering – the operator can steer the laser screed without releasing his grip on the joystick controllers for enhanced operator ergonomics. 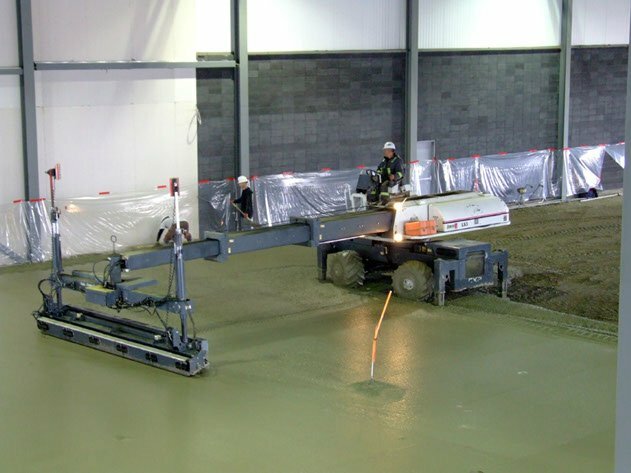 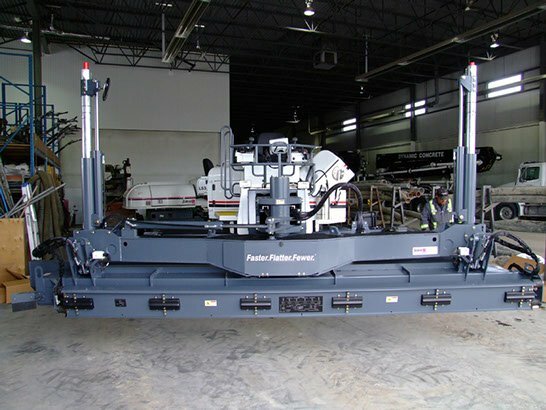 Auto stabilizers – preset stabilizer-extend and retract positions saves time with each set-up of the machine for a screeding pass. 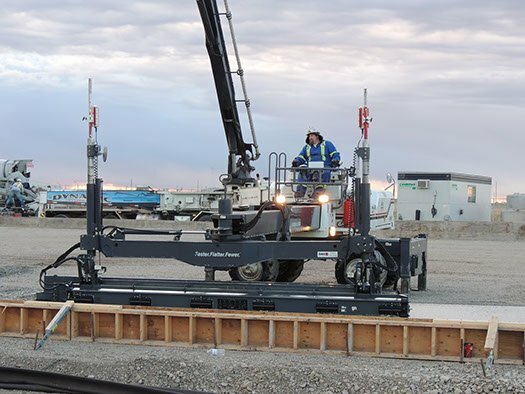 Operator-adjustable – preset boom travel, boom rotate, and head rotates speed settings for accurate and repeatable operator control. 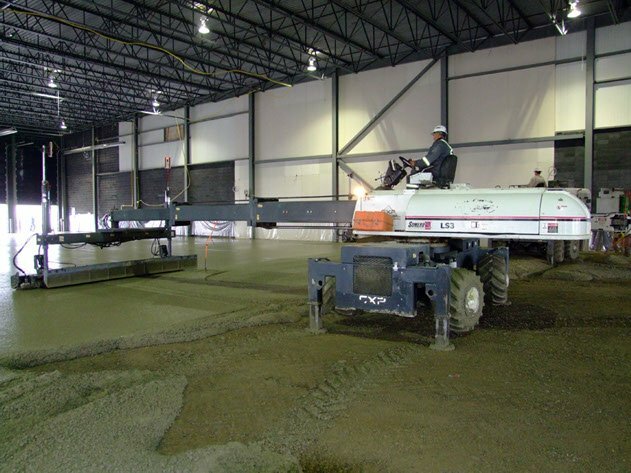 Edmonton, Calgary and all across Alberta is Dynamic Concrete territory for contracting services. 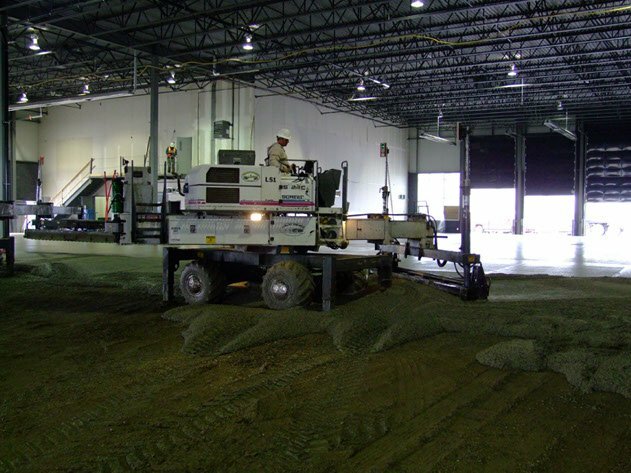 Our highly-trained team is capable of improving the productivity of virtually any commercial or industrial construction site. 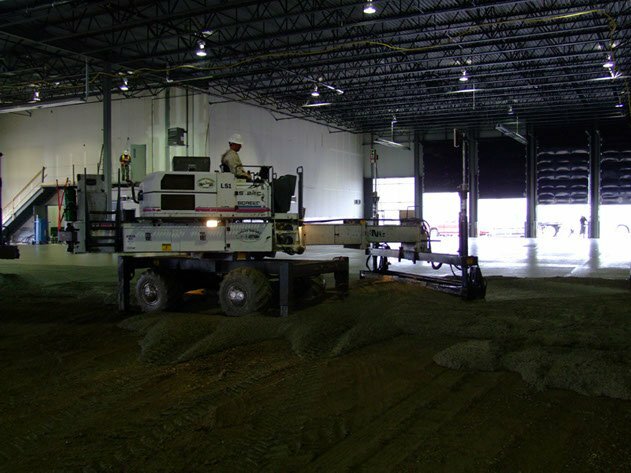 Our customized solutions ensure you’re able to keep projects on schedule and deliver quality results for enhanced profitability. 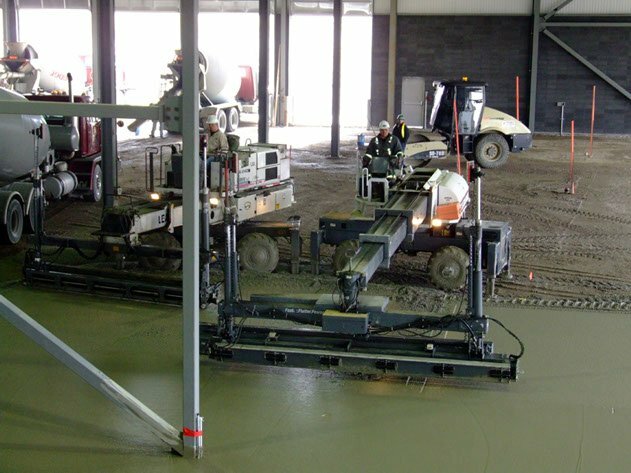 Why Should You Trust Professionals for Your Concrete Laser Screed Services? 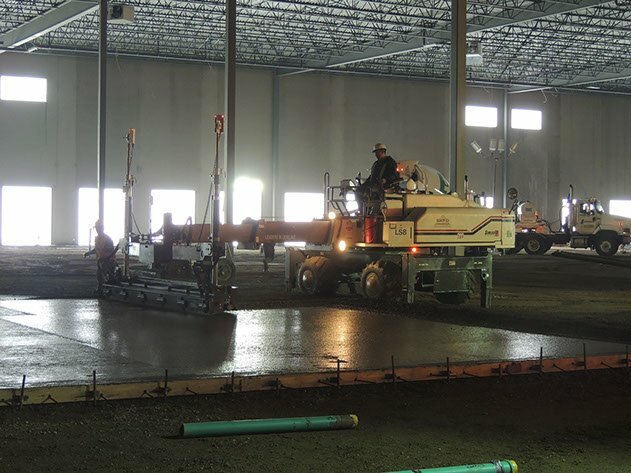 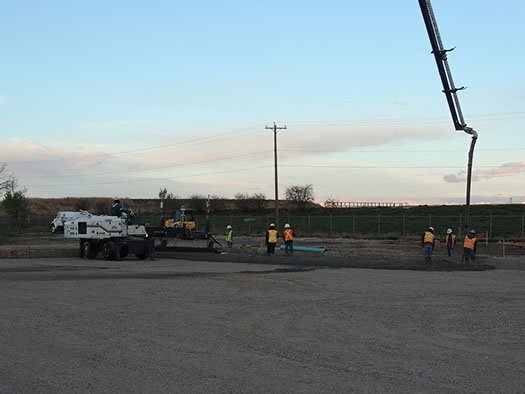 While some people working in the construction industry choose to complete their laser screed work on their own, trusting the professionals at Dynamic Concrete Pumping will ensure your job gets done within a quick timeframe to reduce downtime and keep your productivity as high as possible. 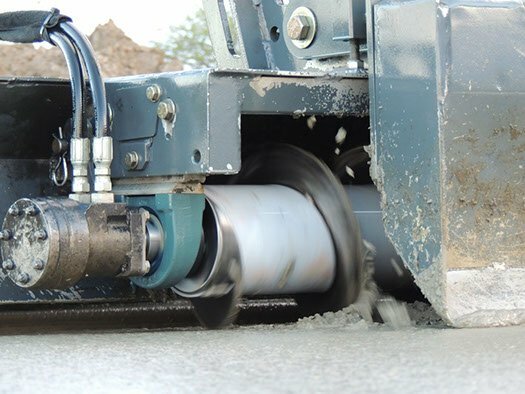 Also, you can be sure your project will be done right the first time, reducing possible rework costs. 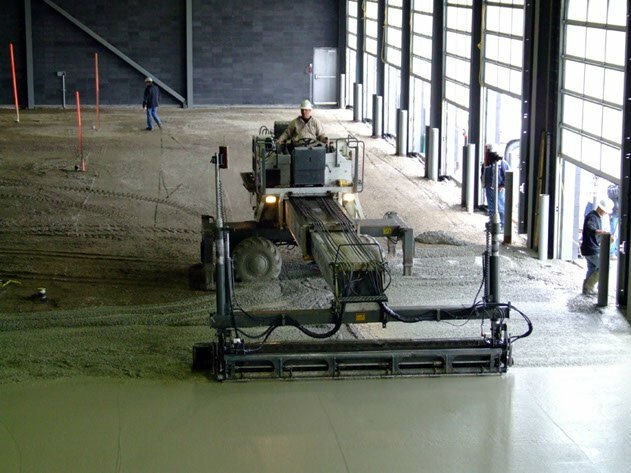 You won’t need your own laser screed or equipment either, which will help you save on your bottom line by reducing maintenance, repair, storage and service costs. Just reach out to us for laser screed services in Edmonton or Calgary. 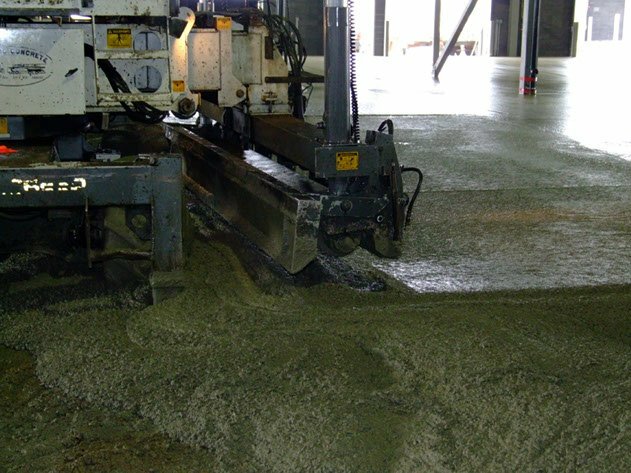 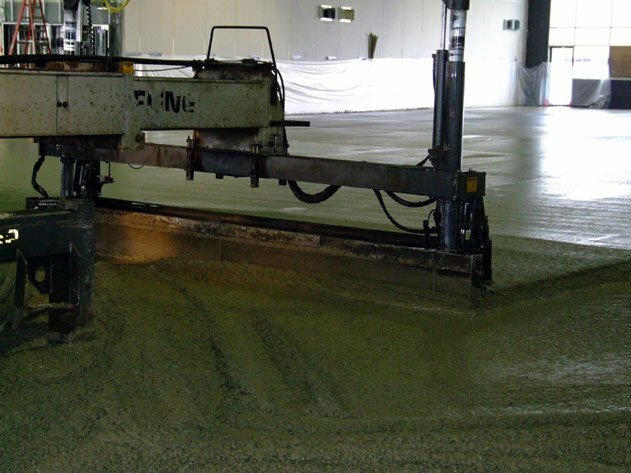 Find the laser screed concrete flooring solutions you require in one convenient place. 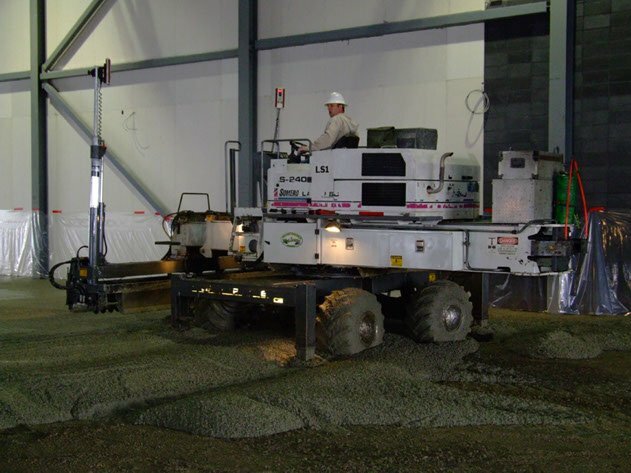 Contact us for more information about our complete selection of contracting services.